R-50: fewer materials, less handling, and increased savings. R-50 Systems products enable retrofitted structures to achieve required R-values in less time, with fewer materials, and without costly and destructive building modifications. 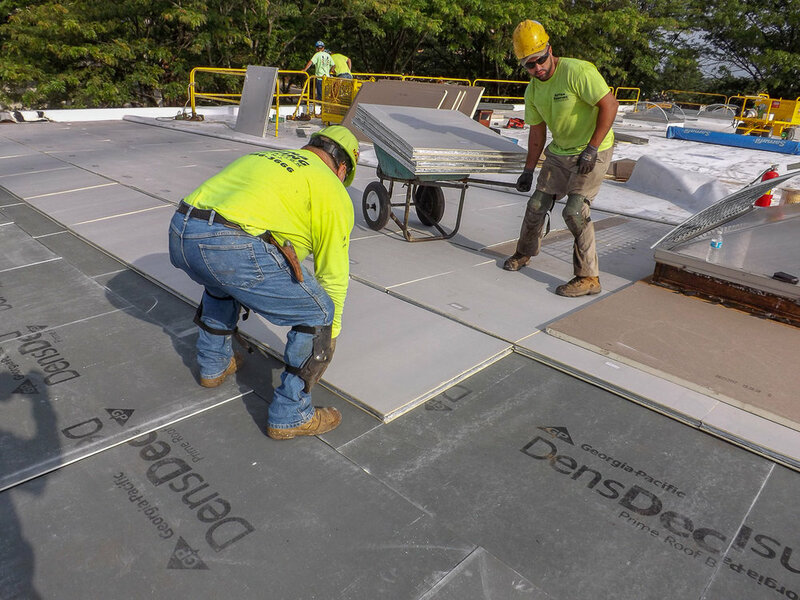 Conventional insulation options requires up to 15” of height to reach the code-required R-50 value, making it extremely costly when retrofitting buildings. R-50 Systems products meet or exceed those R-value requirements with a thickness of 1.5” or less. R-50 Systems products are manufactured to spec and lightweight, lowering the cost of delivery and handling and reducing labor costs by more than half – both to and on the jobsite. R-50 can save your replacement costs as much a 60%. 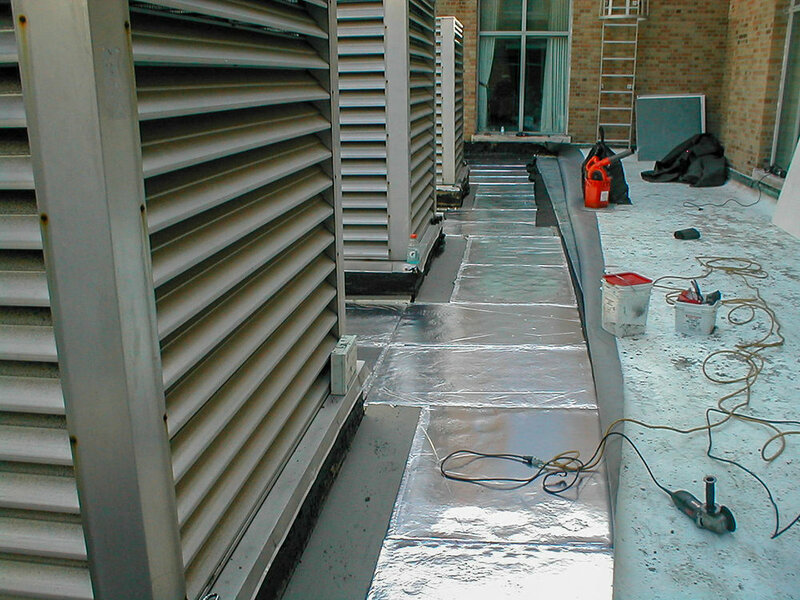 Longer material life prolongs overalls life of the structure and extends the need for future roofing repairs.